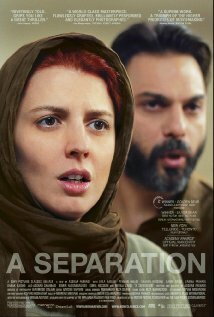 Set in contemporary Iran, A Separation is a compelling drama about the dissolution of a marriage. Simin wants to leave Iran with her husband Nader and daughter Termeh. Simin sues for divorce when Nader refuses to leave behind his Alzheimer-suffering father. Her request having failed, Simin returns to her parents’ home, but Termeh decides to stay with Nader. When Nader hires a young woman to assist with his father in his wife’s absence, he hopes that his life will return to a normal state. However, when he discovers that the new maid has been lying to him, he realizes that there is more on the line than just his marriage.